A stylish, compact stroller weighing less than nine kilos? Here it is, folks! Having children can usually means amassing a few different prams and strollers (guilty as charged). Somewhere along the way you realise that all you really need is something which is comfortable for baby, grows with your child and won’t give you a back injury when you’re putting it in the boot. 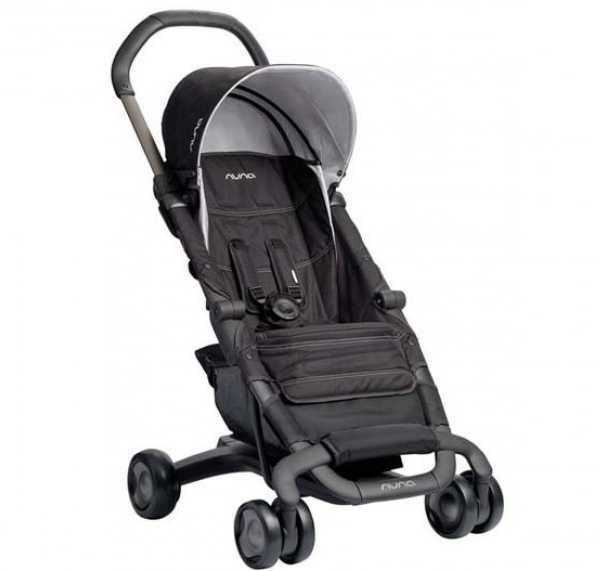 One of the newest strollers on the international market is the Nuna Pepp. Great European styling combined with a weight of around 8.5kg means it’s very attractive to new parents, and those looking to consolidate bulky prams and strollers. The word is that it’s also very compact when folded, so handy if you have a smaller car. It’s made for one handed navigation, and has a five point harness. It has a full recline position for babies, and two other positions and is designed to suit children from birth until they weigh eighteen kilos. It retails for $252 from Bubs N Grubs, plus freight.